Silver medalist and Audience Favorite prize at the 15th Arthur Rubinstein International Piano Master Competition, 2017, to perform a piano recital at St. John Smith Square, London. Mr. Ciobanu is the Artistic Director of Neamt Piano Festival, Romania; a graduate of the Royal Conservatoire of Scotland (RCS), under the tutelage of Aaron Shorr, Petras Geniusas and Steven Osborne. He is a laureate of several international competitions, amongst them Concourse Internationale Musique de l’Orchestre Philharmonic du Maroc and the UNISA International Piano Competition in Pretoria, South Africa. He has performed in international festivals in England, France and China; and with orchestras, such as the Royal Scottish National Orchestra, Orchestra of Pretoria and the Israel Philharmonic. 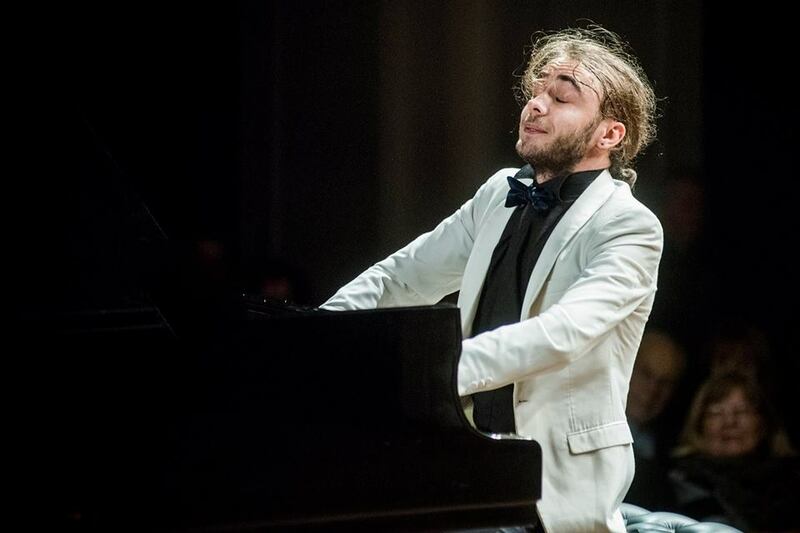 In September 2017 Ciobanu toured Japan, as part of the Rubinstein Competition’s winners tour and in October 2018 he will make his debut performance at Carnegie Hall, New York. Daniel currently resides in Berlin.